The small, tranquil village of Kirkby Malham is situated in the Craven district of the beautiful Yorkshire Dales National Park and lies five miles to the east of the market town of Settle. The village, sometimes referred to as Kirkby Malhamdale, lies a few miles from dramatic Malham Cove, one of the natural wonders of Yorkshire, a large, curved ampitheatre shaped limestone cliff formation which rises to 80 metres (260 feet) and looms over the head of a valley. On the west side of the cliff face are irregular stone steps which form part of the route of the Pennine Way and lead to an uneven limestone pavement at the top.There are also several attractive waterfalls and walking trails in the area. The place name of Kirkby, meaning Church Place, and Malham from "malg, maligr", meaning gravelly soil or sandbank, derives from the old Norse language. The Domesday Book of 1086 describes the area as then being wasteland, indicating that the village was probably left in ruins after William the Conqueror's brutal 'Harrying of the North' in response to Saxon resistance against his rule. The village has a small, triangular attractive green and offers pleasant riverside walks along the River Aire. The American author Bill Bryson once lived in Kirkby Malham. The village pub, the characterful Victoria, serves local real ales, fires, offers farmhouse cooking, takeaways and comfortable en suite accommodation. 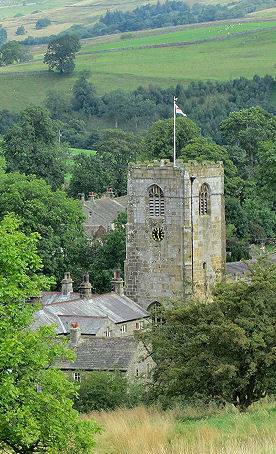 The imposing village church of St Michael's, which stands at the centre of the village and near the River Aire, is sometimes known as the 'Cathedral of the Dales' and occupies the site of a previous possibly seventh century church. 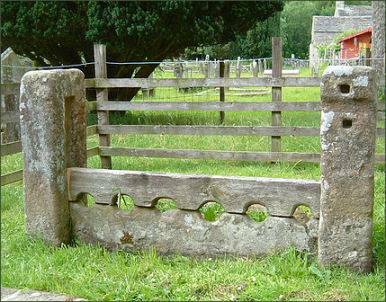 An old set of stocks stand in the churchyard, just inside the south lychgate. The Cross base and shaft in the churchyard was a preaching station used by early Christian missionaries. 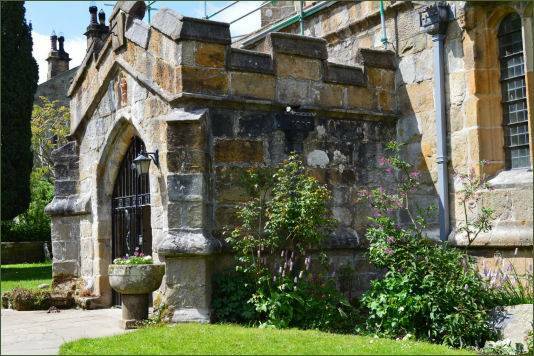 A church has occupied the site from no later than the ninth century, and possibly as early as the seventh century, the present imposing millstone grit buillding was constructed in the fifteenth century and was restored in 1879-81 by the Lancaster architects Paley and Austin. The arms of Fountains Abbey are featured on the embattled tower of the building. 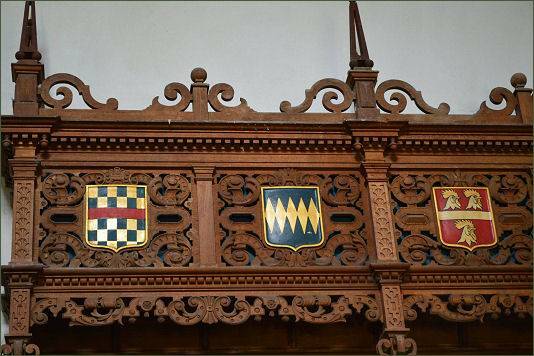 The south-west buttress of the tower contain four carved coats of arms belonging to the Malhams of Calton, the Tempests of Broughton, the Bankes of Bank Newton along with a fourth coat of arms, which is now not known. The porch contains two interesting consecration crosses. 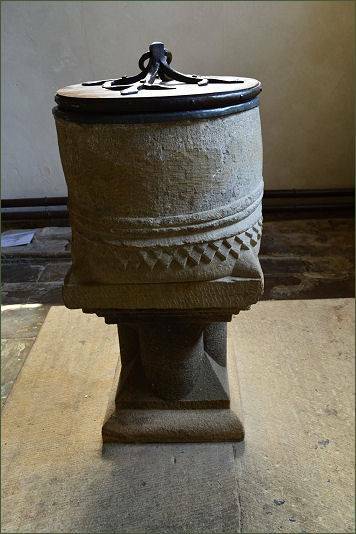 The eleventh century font, situated in the baptistry, is decorated with typical Norman zigzag moulding design. 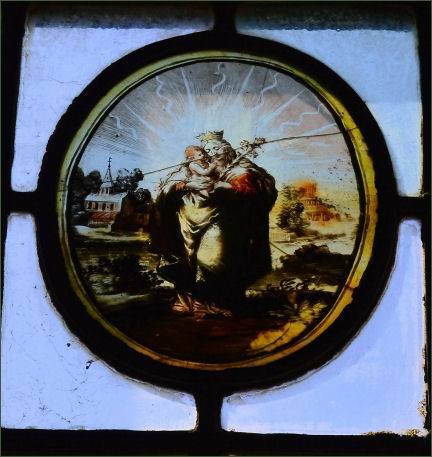 It was discovered and placed back in the church during the Victorian restoration of the building. 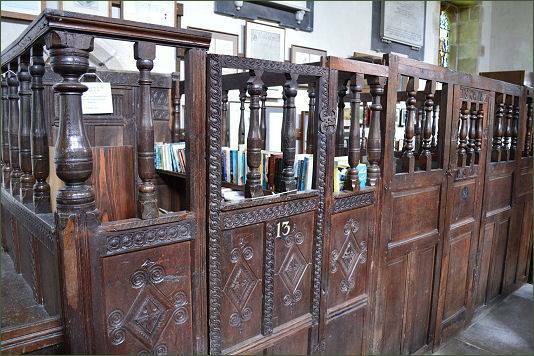 Some of the box pews date from the seventeenth and early eighteenth centuries. Two piscina, stone basins used for washing the chalice after communion, stand in the south aisle and mark the position of former chapels. The interior also contains a memorial to John Lambert (1619-1684) of nearby Calton who became one of Oliver Cromwell's best generals and was a close personal friend of the Lord Protector. Cromwell attended weddings at Kirkby Malham and signed the visitors book on two occasions.